Dr. Isidor has been amazing working with me and my “tween” daughter. My daughter has asthma and does gymnastics so this has been helpful. Her professionalism is commendable and her advice for daily maintenance activities are spot on. I came to this office the day after the accident occurred. I was not sure about it but when I met Dr. Isidor she puts me at ease after talking to her. I am so grateful to my friend who referred me to Dr. Isidor. She is very professional and friendly. I would not hesitate to definitely refer someone else or a friend to her.  I have been seeing Dr. Isidor since August and with regular treatments I have experienced such positive results. I have been out of work with an ACL tear, meniscus tear and hip disease. Therapy, rest and treatment with an experienced Chiropractor/ specialist has been more than a life changing experience. Thank you so much for taking the time to treat my injuries, helping me to feel better and gain back my confidence. You truly have changed my life. Dr. Alexandria very professional. Things that I learn from her on taking care of my nutrition n body wellness. She was very patient with me in explaining my examine n what needed to be done. Even though I only had that first experience, my body did feel a little better. Can’t wait to continue my treatments with her. Dr. Alexandra Isidor is GREAT! I came in due to severe pain in my upper back. I was in pain for about a week and a half and found her on the web. Two days after my first visit I was feeling a HUGE difference. Super thankful for her & her kind professional staff! Highly recommend her!! Ready to get started? Contact our office today!